"All human beings are born free and equal in dignity and rights. They are endowed with reason and conscience and should act towards one another in a spirit of brotherhood". 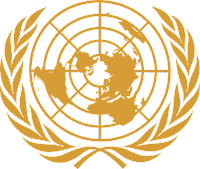 December 10th is designated by the United Nations as World Human Rights Day. The date commemorates the 1948 signing of the Declaration in response to the many atrocities of the Second World War. It's been a while since I last looked at this Declaration. Re-visiting it I both admire the hopeful spirit in which it was written and also feel sad about how far short most of the world has fallen from this beautiful ideal. The current crisis of refugees especially can make one pause and wonder if we are about to repeat the mistakes of seventy years ago. 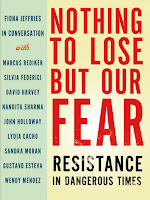 Nothing to Lose but Our Fear by Fiona Jeffries "brings together an international group of scholars and activists and asks them how can we think critically and act productively in a world awash in fear. Their conversations with Fiona Jeffries provoke consideration of the often hidden histories of people's emancipatory practices and offer reflections that can help us understand the current global uprising against fear in new ways." --From publisher. 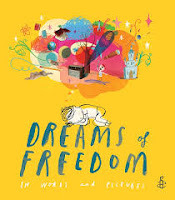 Dreams of Freedom is a beautifully illustrated book for children. Quotes from inspirational figures like Harriet Tubman, Nelson Mandela, Anne Frank, and more, have been chosen especially to appeal to kids and help them understand the basic concepts of freedom and human rights. This book is a collaborative work by two local academics/activists, Dr. Max Haiven and Dr. Alex Khasnabish (their Radical Imagination Project also runs a very interesting film series at the Halifax Central Library). 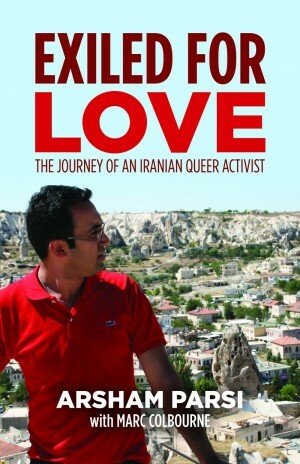 Exiled for Love by Arsham Parsi "explores the reality for LGBT people in Iran through the deeply personal and inspiring story of his life, escape and continuing work. Arsham Parsi is the founder and executive director of the Iranian Railroad for Queer Refugees"--Provided by publisher. I've been slowly working my way through a fascinating book by Dr. Yuval Noah Harari which addresses some of the reasons why there has been such a great disparity between the ideal of human rights and reality of human existence: Sapiens: a brief history of humankind. It's a big subject to cover in one volume; Dr. Harari is one of those thinkers who can synthesize ideas from science, history, anthropology, and philosophy and then explain them in engaging everyday language. In this book he creates an encompassing account of how human beings have grown from small bands of foragers into complicated and highly cooperative beings. What sets humans apart from other creatures on the planet is our ability to tell stories and believe in ideas we can't see or experience directly. It's often things that don't exist at all except for our belief in them that motivate large groups of people to act together: money, nations, corporations -they all exist only because we agree that they have meaning. I found it interesting -and a little difficult to accept- that Dr. Harari argues that human rights also exist only because we agree to believe in them. His historical examples are pretty persuasive though -our definitions of rights and of who is even human, have changed greatly across place and time. Harari has a pretty bleak outlook for the future, envisioning further inequality as humans begin to engineer our own biology, but in the end if it is our imagination and ideas which shape our existence we still have the power to create and protect our ideas of human rights, no matter what their origin.